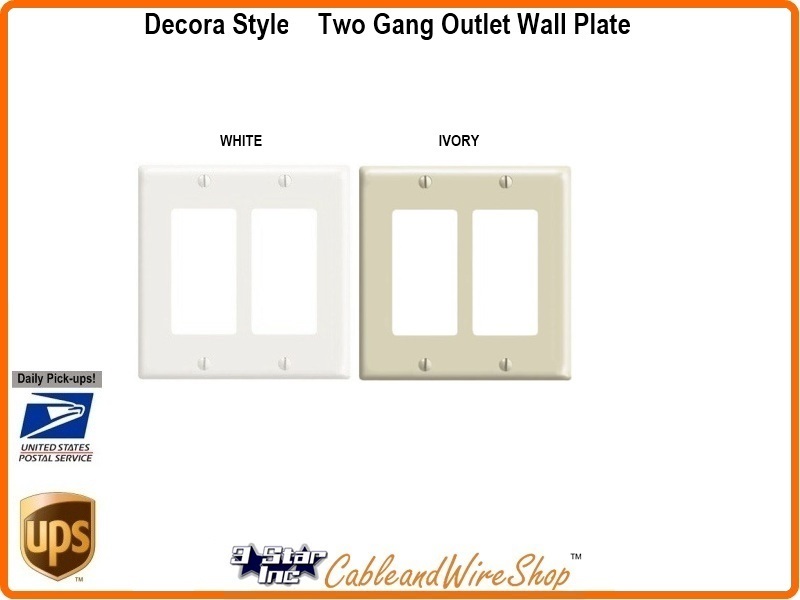 2 Gang wall plate for use with a variety of decora style insert straps. This decora-style wall plate pairs with a matching insert (available separately) to complete your custom installation. Available in White or Ivory. Note: Compatible with other Decora Style plates and inserts. If blank or strapped, the wall plate will accept other strap inserts including GFCIs, electrical devices, lighting controls and Decora multimedia QuickPort inserts.